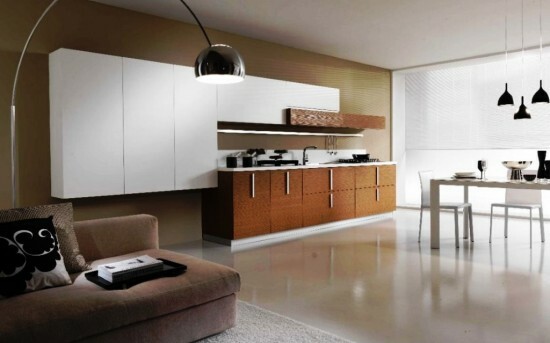 This kitchen design is very modern and minimalistic. But the design isn’t cold, thanks to the warm wood cabinets and comfy couch nearby. Image via coodet.com. 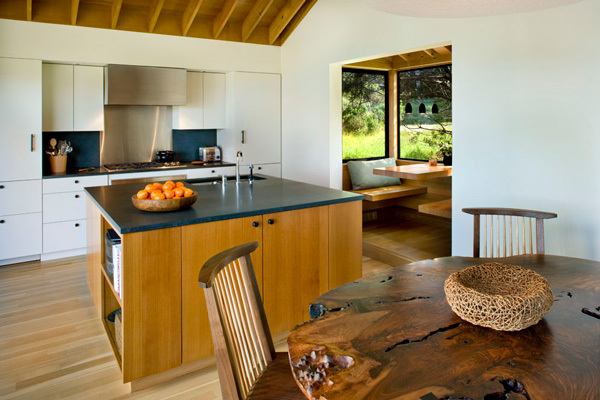 Plenty of pillows transform this traditional kitchen table into a cozy nook. Image via kitchen.com. 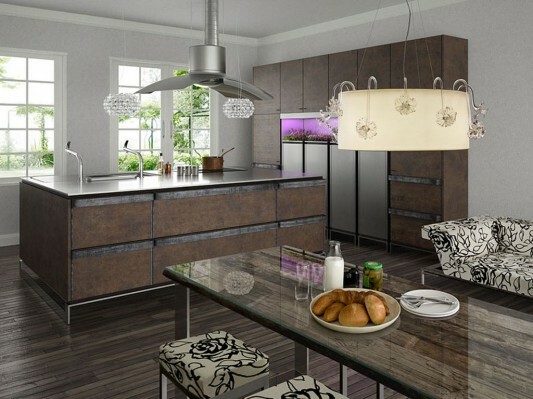 The extra large kitchen island with the built-in sink make this kitchen design both practical and comfortable. Image via HGTV. 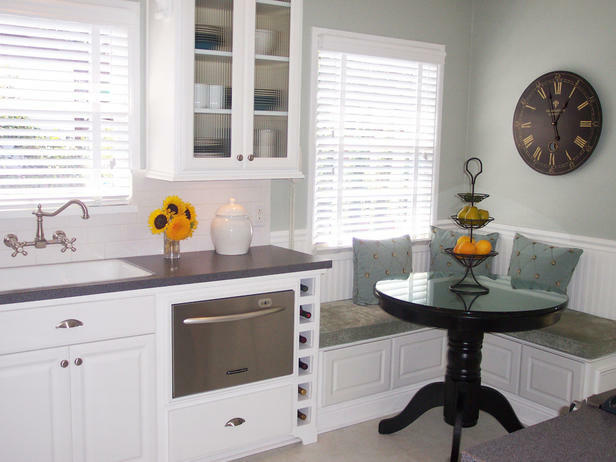 This kitchen takes advantage of the small leftover space in the corner by adding bench seating and a little bistro table. Image via HGTV. The warm color scheme and extra seating make this Tuscan-inspired kitchen inviting and cozy. It looks like a great place to kick back with friends and family. Image via HGTV. 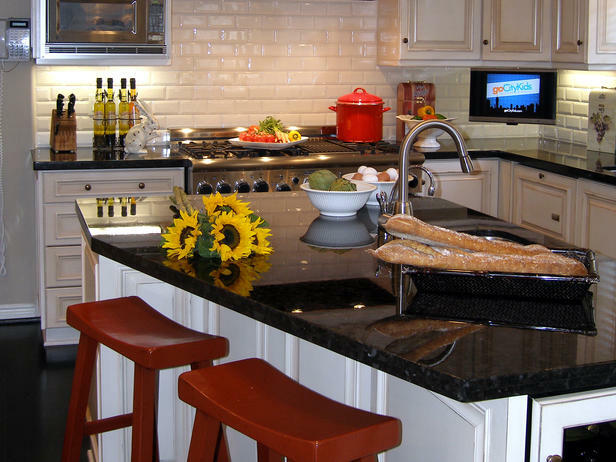 Bar seating is comfortable and practical, making it a great addition to a modern kitchen. 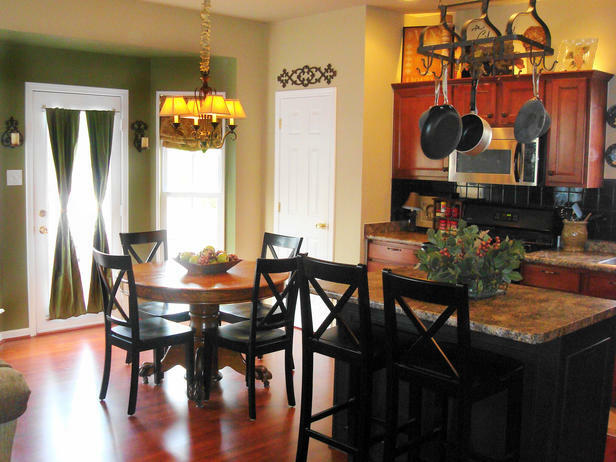 The hardwood floors stop this kitchen from looking too sterile. Image via Darsheel.com. 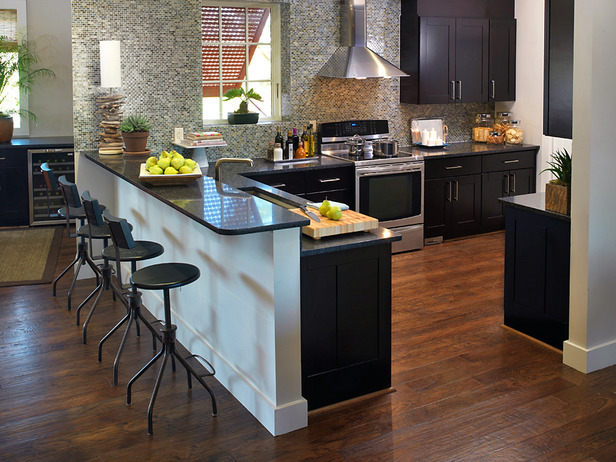 This large modern kitchen is perfect for families who love to entertain. The upholstery on the in-kitchen sofa is also used on the bench stools at the long dining table. Image via TheLuxHome.com. The booth seating just off the kitchen is practical and comfortable. It provides an additional place to eat and relax with its soft lighting, outdoor views and cozy pillows. Image via HomeDesignDecorate.com. 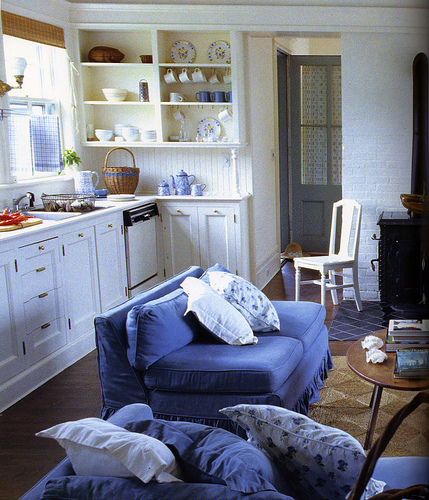 The soft furniture and cool blue color scheme make this small kitchen comfortable and inviting. Image via The Kitchen Designer. 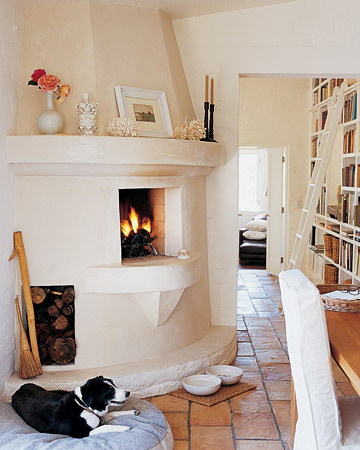 A fireplace right off the kitchen adds warmth and comfort to the dining experience. Image via Martha Stewart.